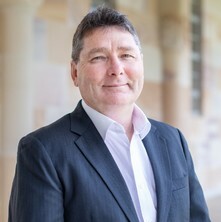 Shane Pegg, Ph.D., is a Senior Lecturer in the Tourism Discipline of the School of Business at The University of Queensland, Australia. He has been involved in a wide array of research and consultancy projects related to tourism and event management. He has a particular interest in the co-production of accessible tourism and leisure service experiences. Dr. Pegg received his BA (Rec Mgt.) (Hons) from Griffith University, his MSc and Grad Cert in Gerontology from the University of Utah, and his MBA and PhD from Central Queensland University. A passionate advocate for therapeutic recreation in Australia, he has published a wide range of refereed journal articles and book chapters and is a past recipient of the American Therapeutic Recreation Association’s Outstanding Professional Award. In 2017, Shane’s contribution to the field was internationally recognised with his election as a Fellow of The Academy of Leisure Sciences. A collaborative research project with the Queensland Government to evaluate the full social and economic impacts of the GCSW on the Gold Coast region. A study of the links between leisure boredom, alcohol use and levels of self-determination of rural and urban youth in Australia. Research focussing on the satisfaction derived by volunteers by their involvement in community events. An exploratory study of this tragic topic and how to mitigate it. Examination of the leisure curriculum in selected higher education institutions in the United States. Master of Business Administration, C.Qld. Graduate Diploma in Management, C.Qld. Facilitating Social Integration of individuals with mental illness living in a community setting. Professional issues in therapeutic recreation: on competence and outcomes 3rd ed. Edited by Norma J. Stumbo, Brent D. Wolfe and Shane Pegg Urbana, IL, United States: Sagamore-Venture Publishing, 2017. The outer islands of Vanuatu: Is there a synergy between tourists and locals? Schoolies: Youth at Leisure or at Risk? Abstracts of Papers presented at the 9th ANZALS Conference "Exploring New ideas and New Directions" at the Brisbane Hilton, Queensland, Australia 2-4 February, 2010 (2010) . Edited by I. Patterson, S. Pegg and K. Franzidis. 9th ANZALS Biennial Conference: Exploring New Ideas and New Directions, 2-4 February, 2010, Brisbane, Qld. Australia.